This year I’m hoping to buy a new sofa for our living room. 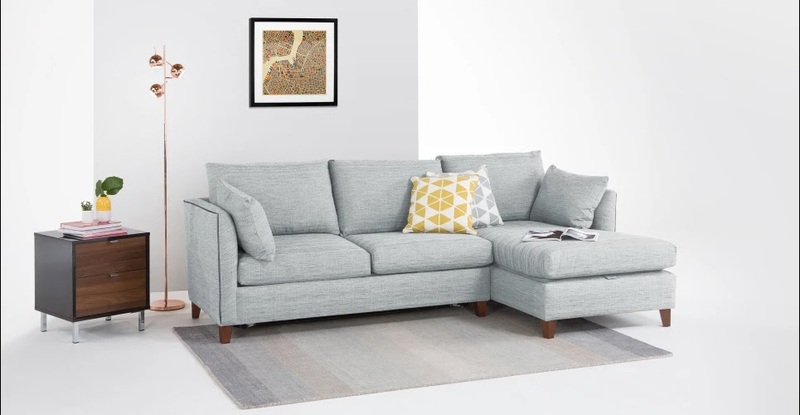 My wishlist is for a grey corner sofa bed with storage. A corner sofa will allow more room for the whole family and in the evenings we can stretch our legs out on the chaise longue. We also like having a sofa bed as it’s great for guests and also family DVD nights. The inbuilt storage is essential for keeping mattress toppers and clean bedding handy. These are my favourites that I’ve seen when browsing so far. What do you think? Each time we visit Ikea, I take a wander and look at this corner sofa bed. It ticks all of the boxes, it’s a sofa, chaise longue and double bed in one and all at a very good price. Size wise, the sofa measures at 230cm x 151cm and the bed is 140cm x 204cm (just larger than a standard UK double-bed (135cm x 190cm)). I like the simplistic design, but I would have preferred a sofa arm at both ends, however, I’m sure cushions will make this sofa comfortable. This is a gorgeous sofa design. It oozes style and quality and looks comfortable. It doesn’t just look good, it also has real hidden talents: a pull-out memory foam bed with plenty of storage. Unlike the other sofas, you can’t change the orientation of this corner sofa (luckily, it’s the way we need it anyway). The sofa measures 255cm x 152cm, and the bed 185cm x 134cm (slightly smaller than a double bed). 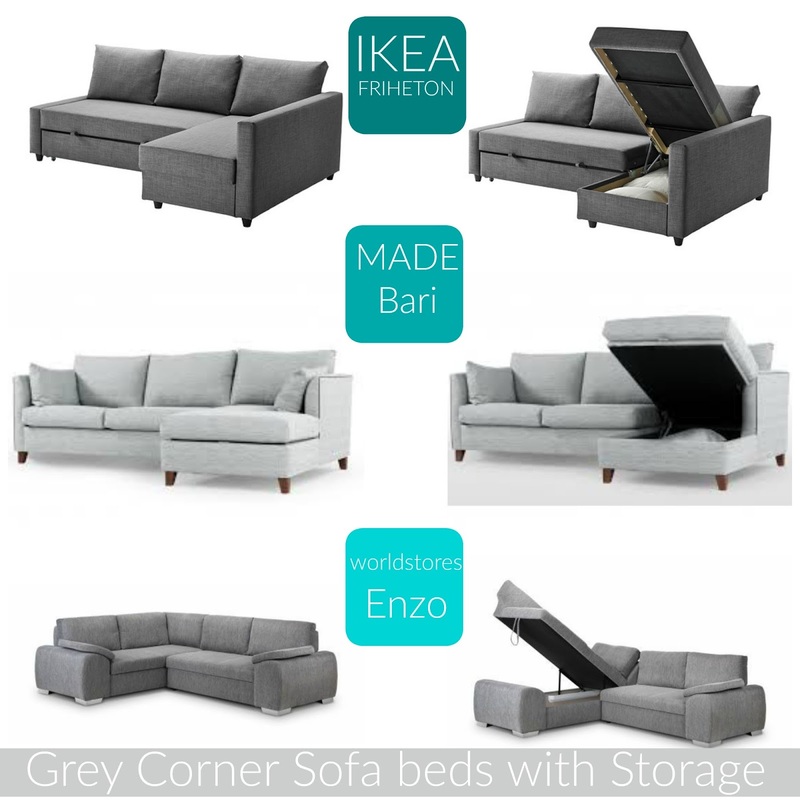 Last but not least, we have the Enzo from SofasWorld, WorldStores. Again it has the looks- upholstered in a choice of fabric, and finished with stylish silver-effect feet and the features: a corner sofa bed with a chaise end that features an inside storage box. This sofa looks the most comfortable with the loose arm pads. The Enzo measures 253cm x 201cm and the bed measures 145cm x 200cm (larger than a standard double). Which corner sofa bed with storage do you prefer? Are there any other good options out there?